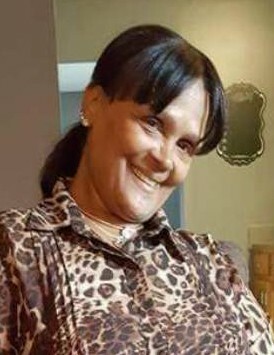 Obituary for Evangelina (Thillet) Encarnacion | Doolittle Funeral Service, Inc.
Evangelina (Thillet) Encarnacion, 63, of Middletown, passed away on January 12, 2019 at Middlesex Hospital. Born in Salinas, Puerto Rico, she was the daughter of the late Francisco and Elsa (Cerezo) Thillet. Evangelina was very adventurous. She loved the beach, shopping and cooking for family. Her daughters and her grandchildren were everything to her. Evangelina is survived by four daughters, Eva Chevres of Middletown, Iajaira Encarnacion of Philadelphia, PA, Julia Rhett of Middletown and Jamilee Encarnacion of Philadelphia, PA; brother, Federico Thillet of Philadelphia, PA; four sisters, Damaris Thillet of Philadelphia, PA, Jacqueline Thillet of North Bergen, NJ, Ivette Thillet of Philadelphia, PA and Maria McGowan of Bayonne, NJ and ten grandchildren, Julissa Chevres, Manuel Chevres, Bryanna Chevres, Elijah Evans, Taylor Evans, Isaiah Rhett, Joy Rhett, Elias Rhett, Alisha Rhett and Sierra Cosme. Funeral services will be held on Thursday, January 17 at 3:00 pm at Doolittle Funeral Home, 14 Old Church Street, Middletown. Burial will be private and at the convenience of the family. Family and friends may call on Thursday from 2:00 to 3:00 pm at the funeral home. To share memories or send condolences to the family, please visit www.doolittlefuneralservice.com.